Back in 2005, Gerry Anderson (he of “Supermarionation” hits such as Thunderbirds) created a CGI animated TV serial reboot of the late sixties series Captain Scarlet and The Mysterons. 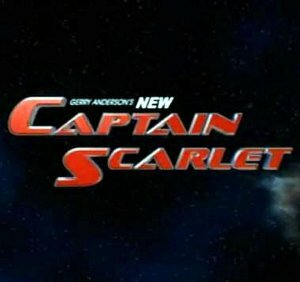 Using “Hypermarionation” (a technique using CGI and motion capture), Gerry Anderson’s New Captain Scarlet (or more commonly New Captain Scarlet) was a show that turned out to be a bit grim and, to some, unsuitable for younger viewers though it did achieve some critical success. Unfortunately, the TV broadcasters chose to air the show erratically in the middle of a Saturday morning entertainment show, splitting the half-hour episodes into two parts and giving the audience no indication of when the parts would be shown. 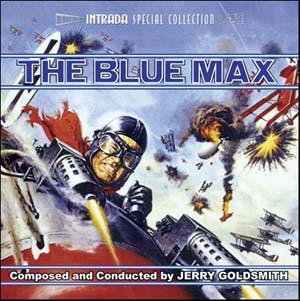 Although many of the features of the original incarnation were retained, Anderson decided not to retain any of Barry Gray’s original music. Instead he chose composer Crispin Merrell (who he had already used in his earlier series Space Precinct) and provide new music for the show. 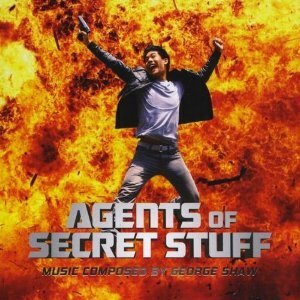 A YouTube short comedy-drama film that’s a mix of spy movie and teen-drama set in a high school, Agents of Secret Stuff centres on a secret agent going undercover to protect a girl who is a target of an assassin group. Produced by Wong Fu Productions, the music is composed by regular Wong Fu collaborator George Shaw who is probably best known for his MovieScore Media releases J-ok’el and Marcus. The music is written in the style of a James Bond/Mission: Impossible/spy movie style with twangy guitars, gutsy brass statements of the main heroic theme and a John Powell/Bourne movie vibe in the strings. Over the course of the 25-minute score, as well as the spy elements, there’s also room for comedic and romantic passages that all add up for a varied listen. My review of Maciej Dobrowolski’s excellent – though currently unreleased – score to the Qatari film Clockwise has been uploaded to Maintitles.net. Enjoy! 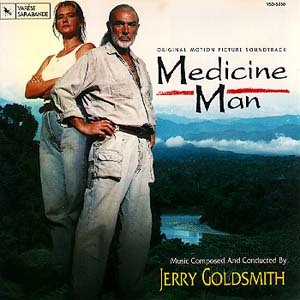 I had not remembered but people better organised than myself reminded me that 7 years ago today film music lost one of its greatest – arguably greatest – film composer, Jerry Goldsmith. I remember driving with my wife to Liverpool and hearing the news of Goldsmith’s death on the BBC Radio news bulletin. The death of a film composer being mentioned on the news! 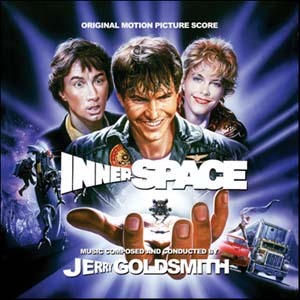 I remember feeling quite emotional on hearing the news: I was familiar with a lot of Goldsmith’s music and, although I much preferred his earlier output compared to what he had been putting out more recently, his music from scores such as The Omen, Alien, Star Trek: The Motion Picture, The Final Conflict and Tora! Tora! Tora! were firm favourites. I hadn’t heard this until the recent release from La-La Land Records. This track highlights to me Goldsmith’s emotional writing for winds. And there’s just a hint of electronics to give it a bit of colour. I just love the way this one starts with low strings and then the martial snare drums. It shows up Goldsmith’s raw power in his scoring: a rawness that I associate with this specific composer. The orchestrations, small motivic devices as well as variations in themes all come together to give a sense of an almost frenzied retreat in places. To me, this is “vintage Goldsmith”. The composer seems to hint at the well-used Dies Irae without actually stating it in full. By my reckoning, almost 2 hours of music was composed by Huppertz for this silent film. At the time an original score to be played by large orchestra “live” was commonplace. 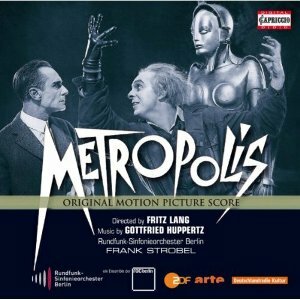 Huppertz composed a score full of themes and motifs, giving the main characters (e.g., Freder, Maria, Rotwang, etc) their own thematic material that is heard again and again throughout the score. There’s also a lot of what could be described as “descriptive music”, particularly ostinato patterns, that mimic the gigantic machinery that powers Metropolis, as well as organ blasts for the shift changeover hooter. Huppertz also includes various different musical styles in the score including a contemporary jazz style as well as including familiar tunes and he also makes good use of the “Dies Irae”.